The migrant caravan, made up of thousands of mostly young males from Honduras and other Central American countries, arrived at the U.S.-Mexico border in November seeking asylum. Migrants are fleeing violent, corrupt countries with poor economies, but some environmentalists and journalists claim global warming is also to blame. 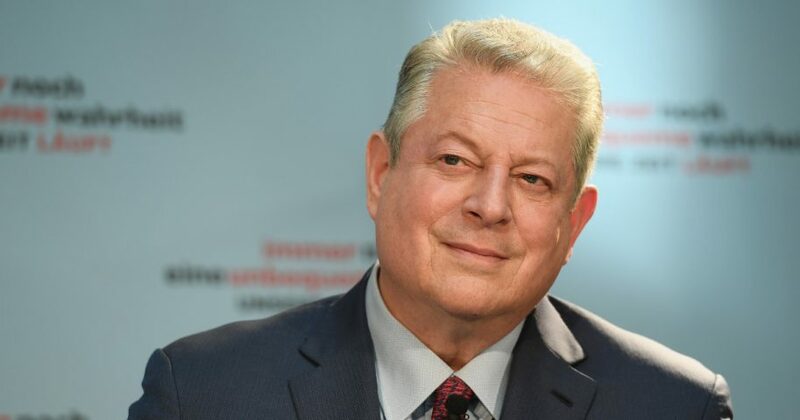 Gore pointed to a Financial Times video on “climate change and the migrant caravan,” claiming that while most migrants are fleeing violence, “climate change is also playing a part” based on an interview with a farmer-turned-migrant whose crop failed. The video largely reflects arguments made by some media outlets in the past few months that migrant caravans to the U.S. are a “preview of climate migrations” — meaning people driven from their homes due to global warming. “Experts say that alongside those factors, climate change in the region is exacerbating — and sometimes causing — a miasma of other problems including crop failures and poverty,” The Guardian reported in October. “And they warn that in the coming decades, it is likely to push millions more people north towards (sic) the US,” the paper reported. Central American officials also claim global warming is part of the reason why their citizens are fleeing en mass. Governments say droughts have been made more frequent and intense by global warming. The collapse in coffee bean prices has made growing it less profitable, forcing migrants to hit the road.